I went ahead and made the other free t-shirt, Deer & Doe’s Plantain t-shirt, for Pattern Review’s Best Pattern contest. 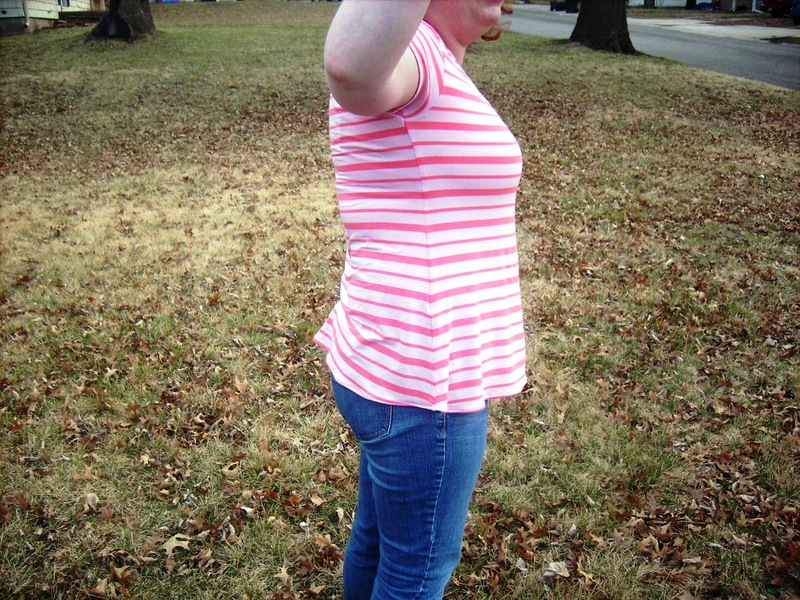 I had just enough of the coral stripe rayon jersey knit to make this project with some left over for doll clothes. I was able to get the stripes to match at the side seams! I used a size 42 at the bust, shoulders and waist then graded out to the 46 for the hip. I used the length for the size 46 since I wanted the shirt a bit on the longer side. I also used the size 46 neckline just to have a higher scoop neckline. For the dress I made last year, I used the 42 but it is a little low-cut for my taste. The 46 was a better pick. In comparing the two shirts: The ideal t-shirt neckline would be somewhere between the plantain and the kimono. I like the looser sleeves of the kimono shirt better but I like the length of the plantain sleeve better. I like the looser fit at the hips of the plantain shirt just because it is a little more relaxed than the kimono t-shirt. But otherwise both are great t-shirt patterns to have. Sewing Pattern Review is having their best pattern contest. I flipped through the qualifying years. I knew I should really focus on tops. 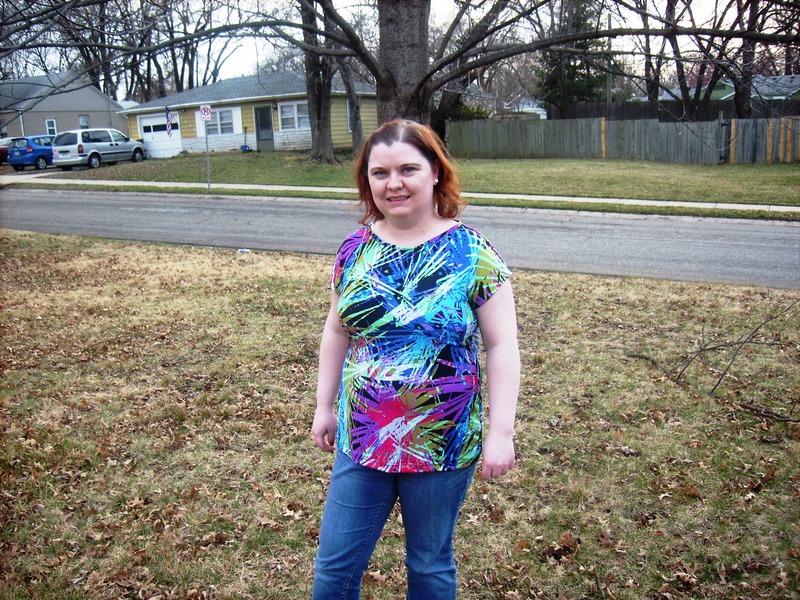 2014’s list included 2 t-shirt patterns; Deer & Doe’s plantain and Maria Denmark’s Kirsten Kimono Tee. Also a plus is that both patterns are free. 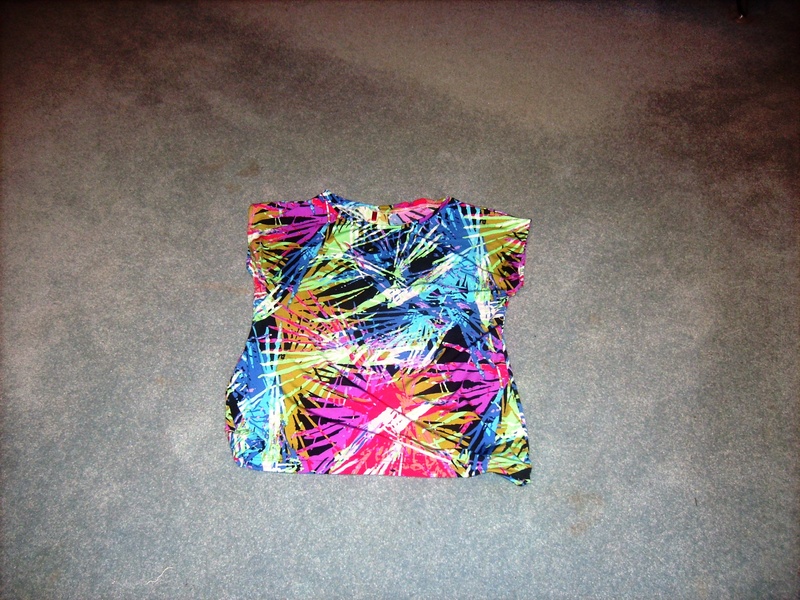 I decided to start with the one I haven’t used before the Maria Denmark’s Kirsten Kimono Tee. I had enough of the Maggy London ITY fabric left over from a yet to be blogged skirt to make this top. The instructions say it takes 0.9 yards of fabric. First thing to note, the pattern does not have seam allowances included. However, there are seam allowance recommendation in the instructions. I didn’t have the instructions open as I was tracing so I just used a straight five eighth seam allowance everywhere. Also the pattern is in metric which I think caused me some conversion problems when I did my neckband. I used a medium for the bust and waist then graded out to the extra-large for the hips. After wearing it a bit, I probably could have just graded out to the large for the hip and be fine but the extra room isn’t a bad thing. I also used the length for the extra-large. I didn’t want my t-shirt to be too short. I added clear elastic to the shoulder seams. My neckline binding was too long. I think it was because I didn’t faithful convert metric to inches. I roughly rounded. I had to shorten it. So my neckline was not laying flat and turn out. 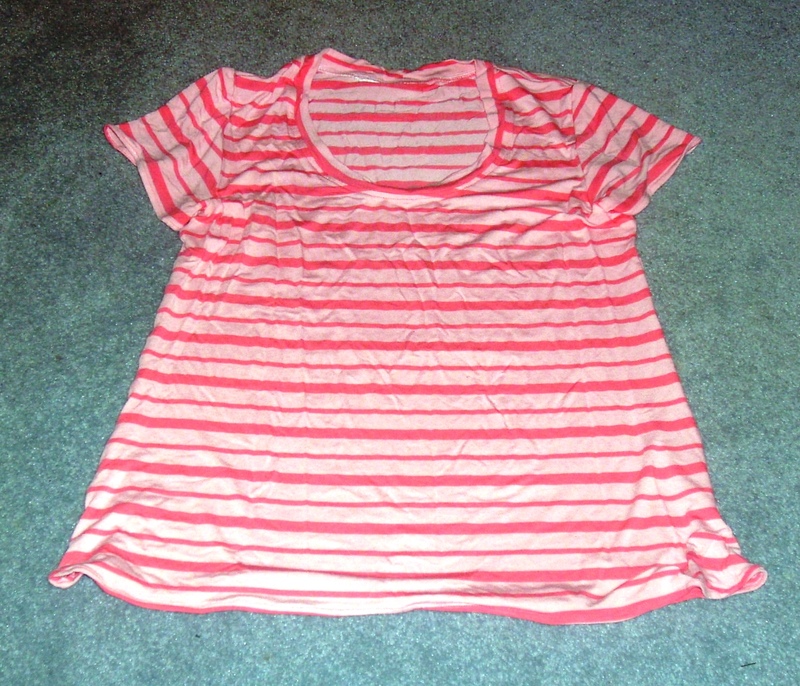 I went ahead and stitched the neckline and that also allowed me to add a ribbon piece to mark the back of the shirt. This time I tried out Simplicity 1391 for Cecile. The pattern was designed by Eve Coleman from Keeper Dolly Duds. This pattern contains three dress views, one jacket, one bonnet, one apron, and a pair of pantaloons. I decided to make view B’s dress. I did not have any coordinating trim in my stash so I left that part off. The blue floral cotton is a fairly busy print but after my dress was completed I do feel like it is lacking something special that the trim would provide. The dress is a little plain without the trim. I think I still have some of the navy linen look fabric that I can use to make her the coordinating jacket. I had not tried out any Keeper Dolly Duds pattern before. 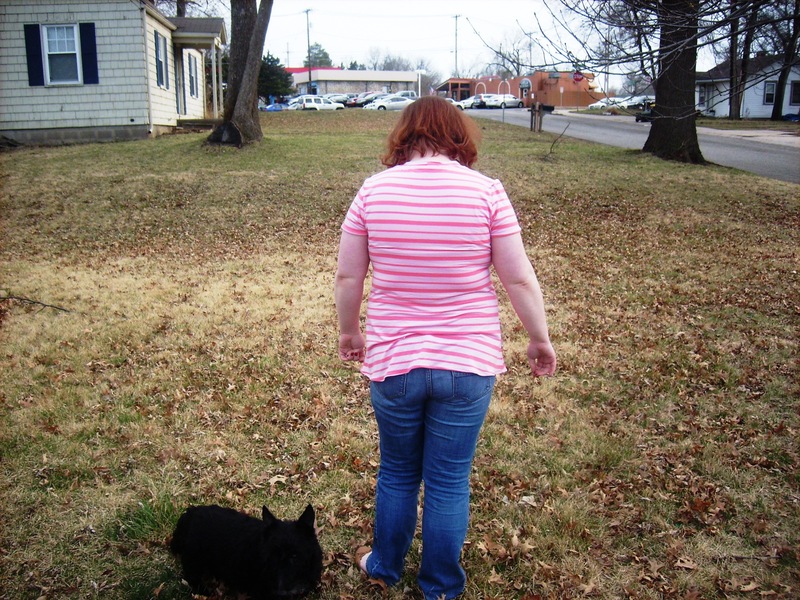 Since this was my first and I knew I wanted to put it on Cecile, I did not make any alterations to the pattern. Interesting items to note about this pattern is the back bodice of the dress has darts. I haven’t seen that used before. 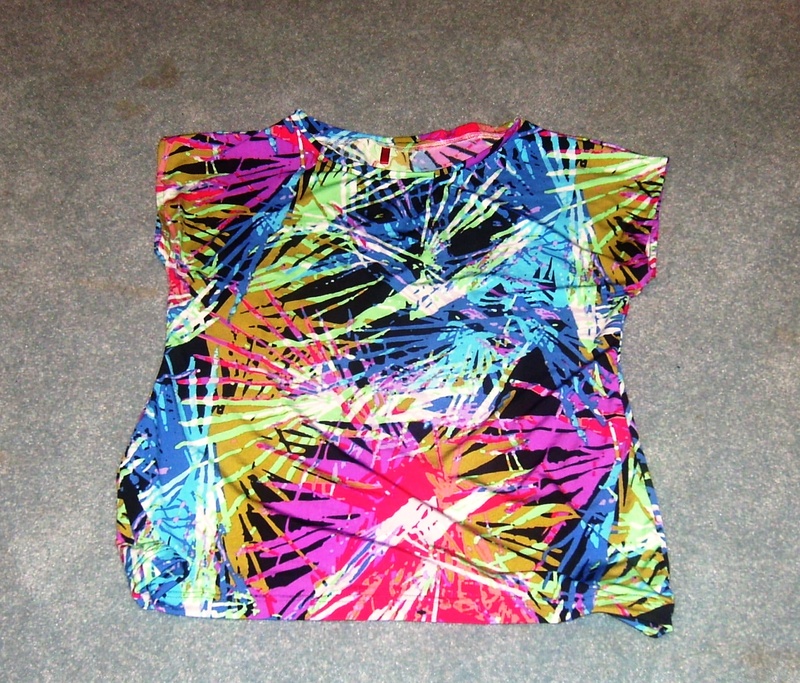 The other item is the neckline facing. It was fiddly to sew but give the dress a beautifully clean look on the inside. 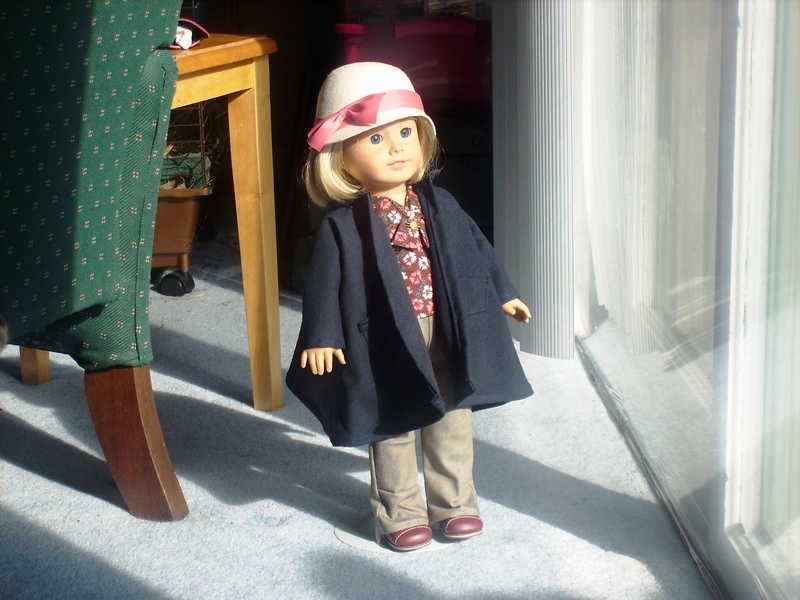 I definitely will keep that pattern piece in mind when another doll pattern needs a neckline facing and it isn’t provided (example: coat in Simplicity 4347). The dress came together easily and the directions were pretty good. The pattern recommends three-eighth inch buttons which I did not have so I subbed in Velcro instead for the closure. 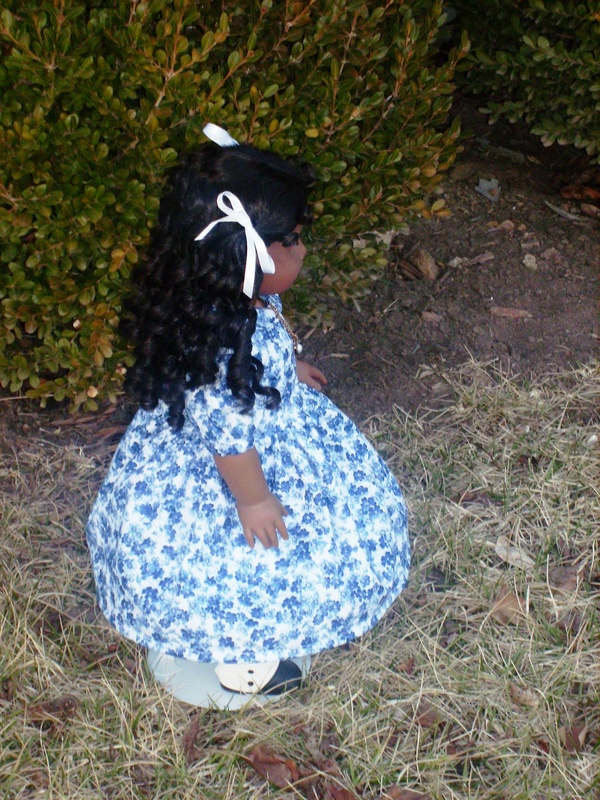 In the pictures Cecile is wearing her chemise, hoop skirt and pantalets (all from American Girl) as well as a petticoat that I made for her. I really like that the dress still fits well over all that stuff. 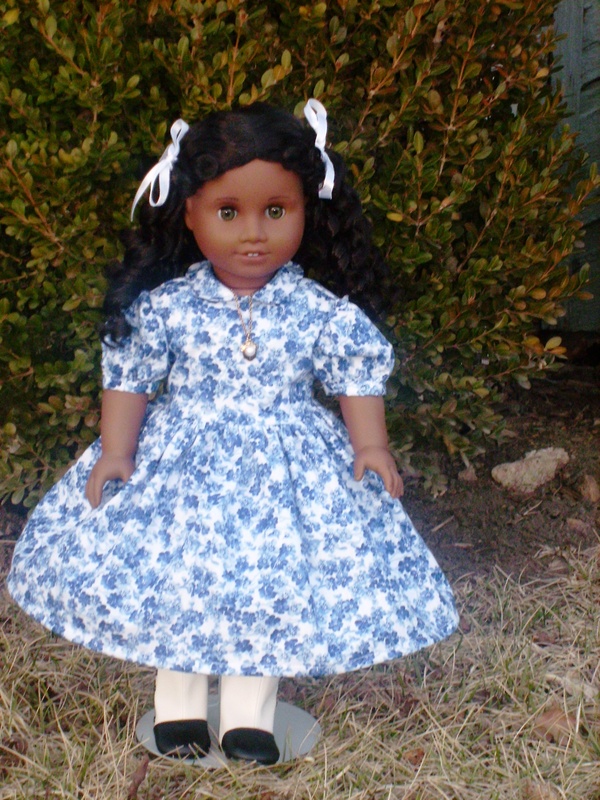 I think that this dress would also fit my older Kirsten doll well as long as she doesn’t have on too many undergarments. I still have a tiny bit of the blue floral cotton left. So the actual last item from this blue floral cotton will be a pair of Janes shoes whenever I get around to making them. 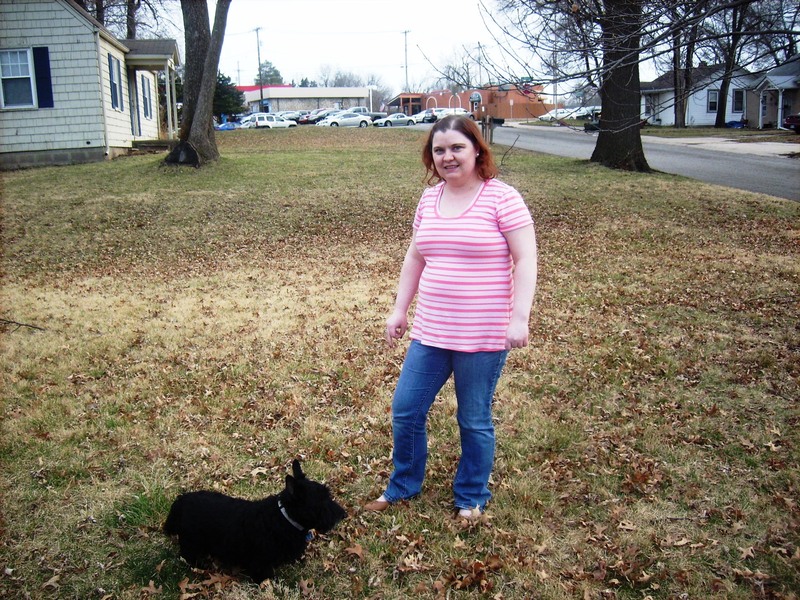 I made this with the left over stretch denim from my Vogue 1247 (Rachel Comey) skirt. 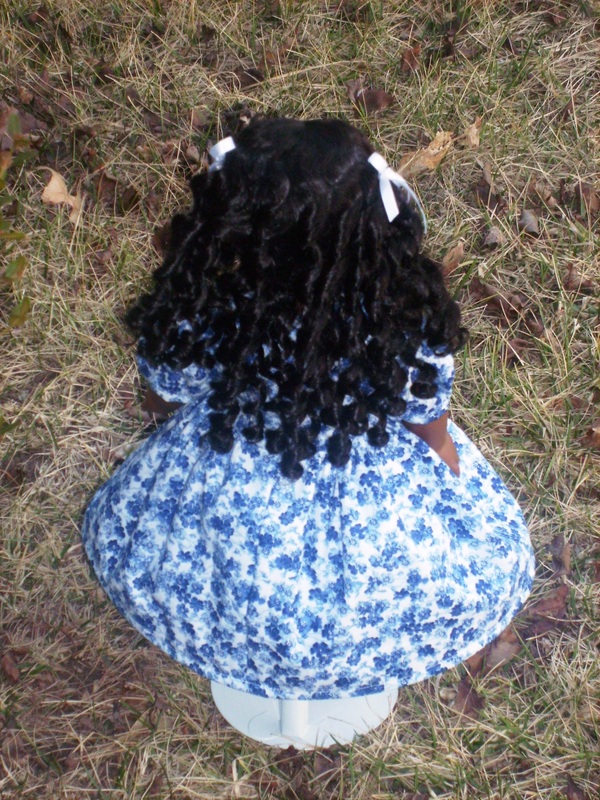 I had added a half-inch total to the pattern (a quarter per piece) since most of my dolls are the older ones. The pattern went together easily. I didn’t exactly follow the instructions. I added the waistband in flat then finished up the back seam. So Kit has a baggy bottom on her jeans. I think this is because of the stretch denim, which did have a lot of stretch to it. 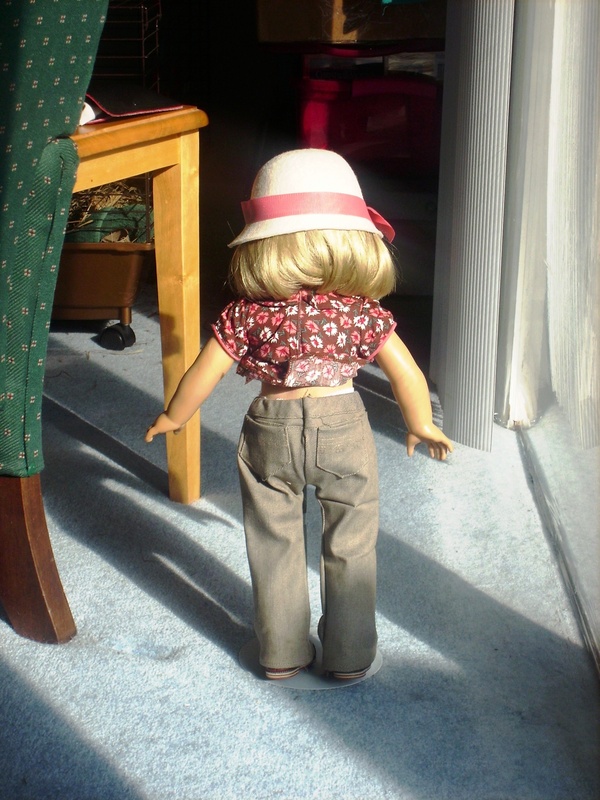 So if you use stretch denim, don’t add any width to the pattern for the older dolls. I probably should test this pattern with the extra width in a non-stretch denim just to make sure it was fabric choice that caused the baggy bottom. I know the skinny jeans from Liberty Jane’s jean bundle were tight on my older dolls when made in a non stretch denim. Adding a half-inch really helped out on that with the non stretch denim. 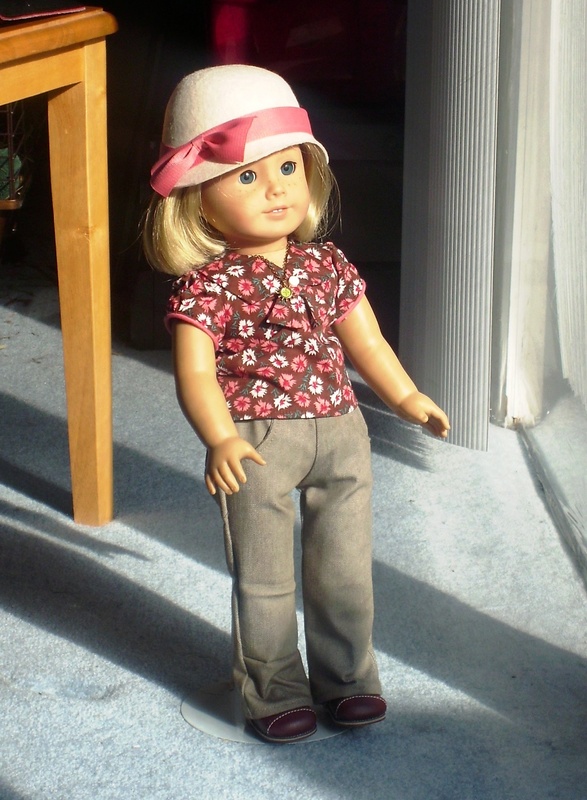 Just for reference, the top and hat were from Kit’s school outfit. I didn’t make either one. The navy blue coat is from the Simplicity 4347.